Marshall Islands castaway story: is it a fake? 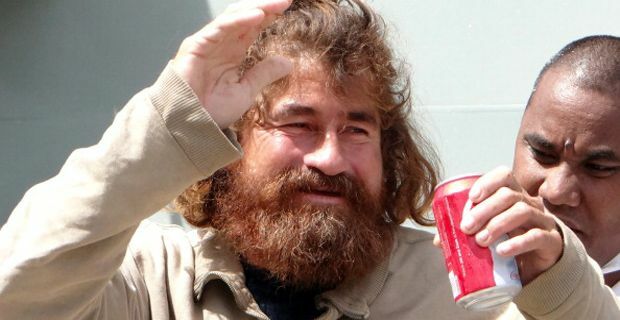 When castaway José Salvador Alvarenga's washed up on a beach in the Marshall Islands last week with nothing but a pair of disintegrating underpants and a stirring tale of survival, no-one was quite sure what to make of him. The only problem was that people seemed deeply skeptical of his story. While accepting that however he had arrived on the island must have been unorthodox, many simply don’t believe he had survived at sea for that long. Indeed the island’s foreign minister suggested he wasn’t thin enough to have undergone such an ordeal, while survival experts and sailors have queued up to express doubts. The fact that much of his initial story was garbled and no-one on the island could speak Spanish probably didn’t help nail down coherent testimony at the outset. Just as a wave of disbelief was building and with Alvarenga still in hospital, Mexican authorities gave weight to his account, confirming a search for a very similar fishing vessel back in September 2012. Local fisherman in Mexico confirmed knowing Alvarenga, the fact that he was a fisherman and the fact that he had been missing at sea, while his mother was tracked down in El Salvador by journalists. Somewhat predictably, an American family are now claiming he is their long lost brother who they lost touch with a decade ago – a claim that may or may not survive a single news cycle. With Alvarengo set to leave hospital soon and curiosity over his story reaching fever pitch, more clarification may be set to emerge. The real shame for poor old Alvarenga has to be that even if he is telling the truth, what with Castaway and Life of Pi so fresh in the memory – he’s unlikely to get the kind of film deal he might have hoped for.